The IPR is organising its second one-day "Policy School" at the Cabinet Office in London for Post-Graduate students. The IPR is organising its second one-day "Policy School" at the Cabinet Office in London on 5th December 2017. The day will be led by officials from the Open Innovation Team. The Policy School’s purpose is to engage students in working on "live" policy problems - to gain experience of how Whitehall works, and to contribute to developing responses to new policy challenges. 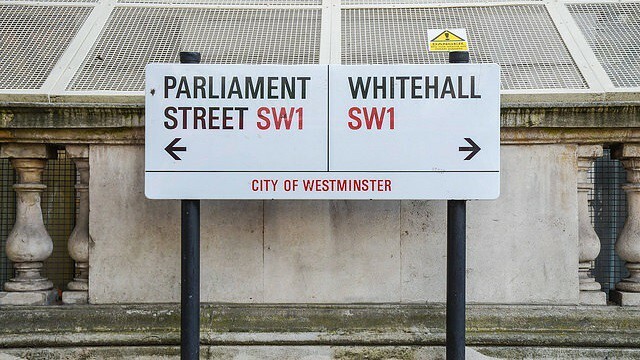 The specific focus of the day will be on challenges currently being worked on by different Whitehall departments related to the digital transformation of government, and is likely to include sessions on distributed ledger technology, web and social media analytics and machine learning. IPR is seeking 20 post-graduate students to participate in the Policy School. Expressions of interest are invited from post-graduate students across the university with an interest in data science, digital technologies, social uses of data analytics and distributed ledgers. Students with skills and expertise in these areas will be prioritised. If you are interested in participating then please apply to the IPR by 31st October: ipr@bath.ac.uk with a short note (maximum 300 words) setting out your relevant experience and interests. Successful applicants will be notified by email by Tuesday 14th November 2017. Standard class public transport travel fares will be paid, when accompanied with original receipts and a University of Bath expenses claim form.